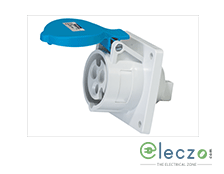 Availability of Pole Types Industrial Sockets or Receptacles @ Eleczo.com: The electrical supplies from Eleczo includes Wall Mounted Industrial Electrical Sockets which is having rated operating voltage 400V and 230V and rated current 16A and 32A. 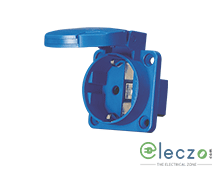 Choose the best suited industrial socket / receptacle that fits to your need and experience a great service only at our Online Electricals Store. 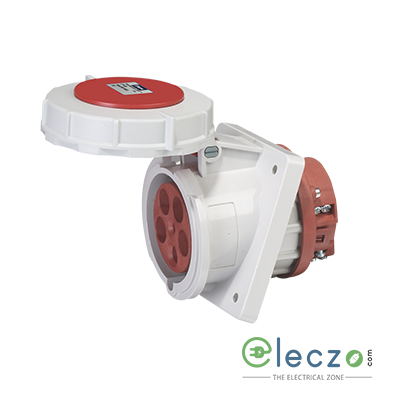 As an Online Electrical Dealer, Eleczo supplies a broad range of Industrial Power Sockets / Connectors for all your commercial and industrial applications. Getting electric products of such great Brands and that too under one single platform is so easy now! 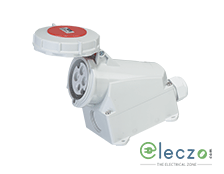 Owning a Branded product itself signifies quality, reliability and durability, and therefore, you don’t need to take a second opinion or thought while purchasing at Eleczo.com. Let us know when, how and what electrical product you want and our Team will get your demand done instantly and will get back to you shortly so that you experience an exceptional customer service. Whether you want a product in bulk or on your customized date, we are here to fulfill all what you want. 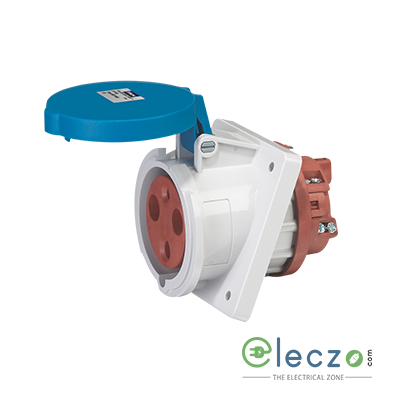 Visit: www.eleczo.com and enjoy shopping experience at this Smart Electrical Marketplace! 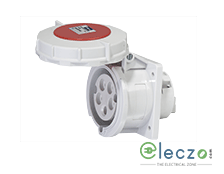 In addition to Industrial Plug and Sockets, you will also find a great range of other electric goods such as Wires, Cables, Switches, Capacitors, LED Ceiling / Panel Lights, Lamps, Push Buttons, Overload Relays, HRC Fuses and other low voltage and controlgear devices. 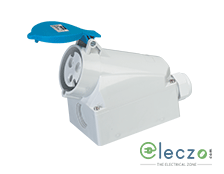 Purchase from Eleczo and feel the difference! !